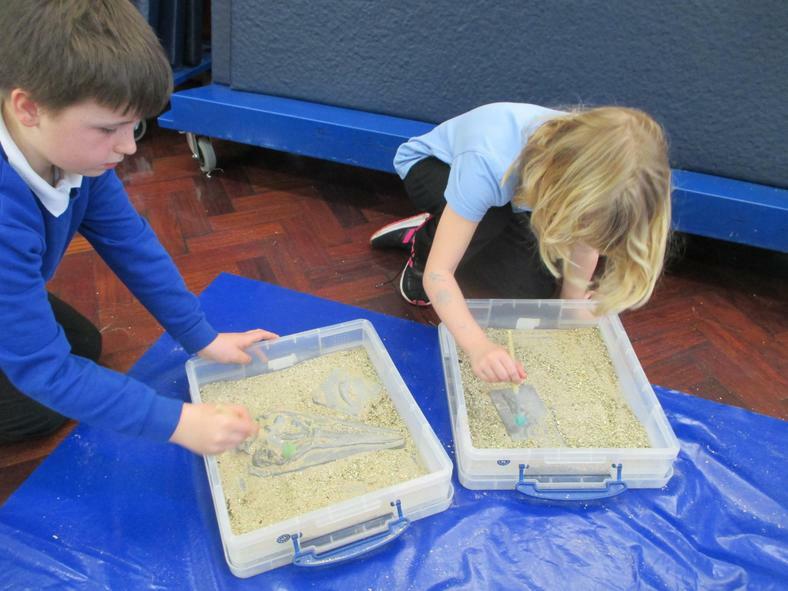 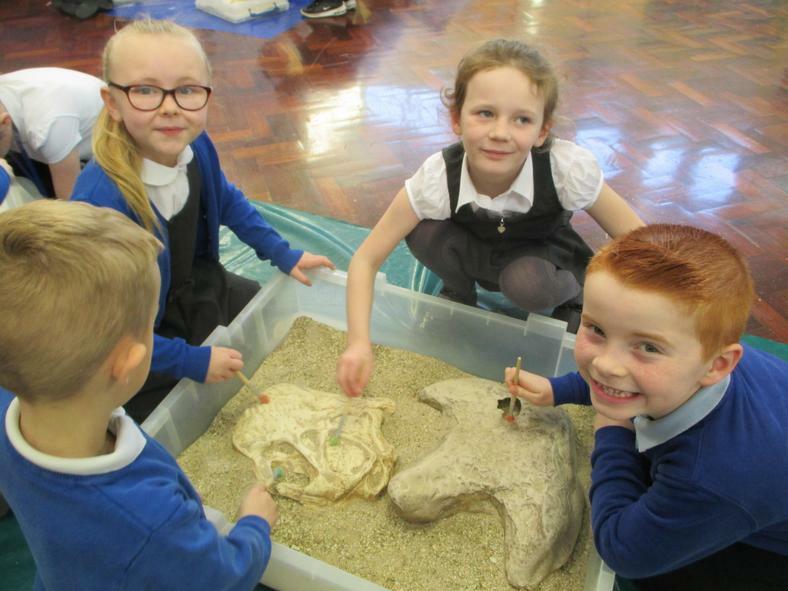 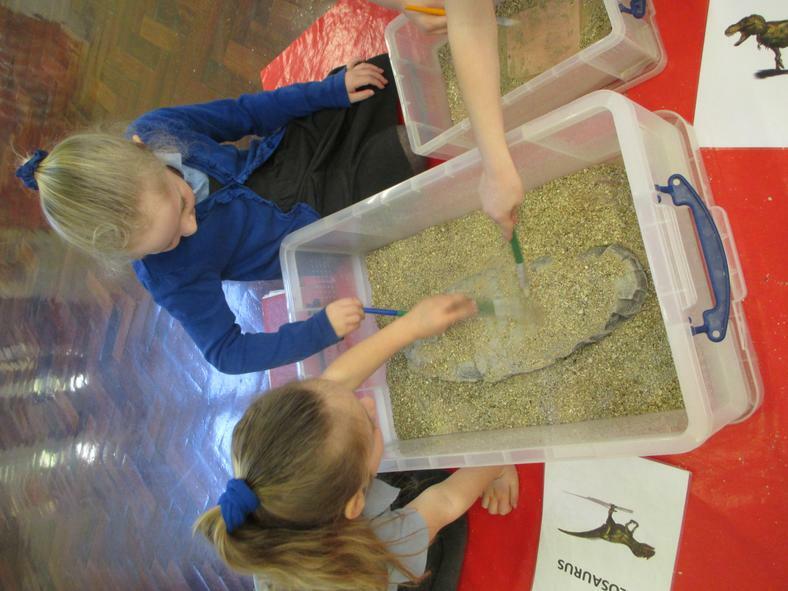 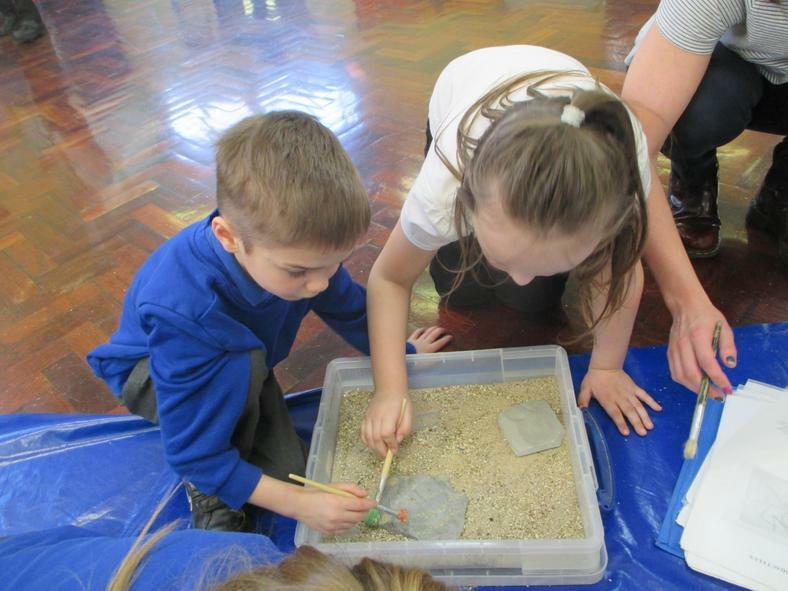 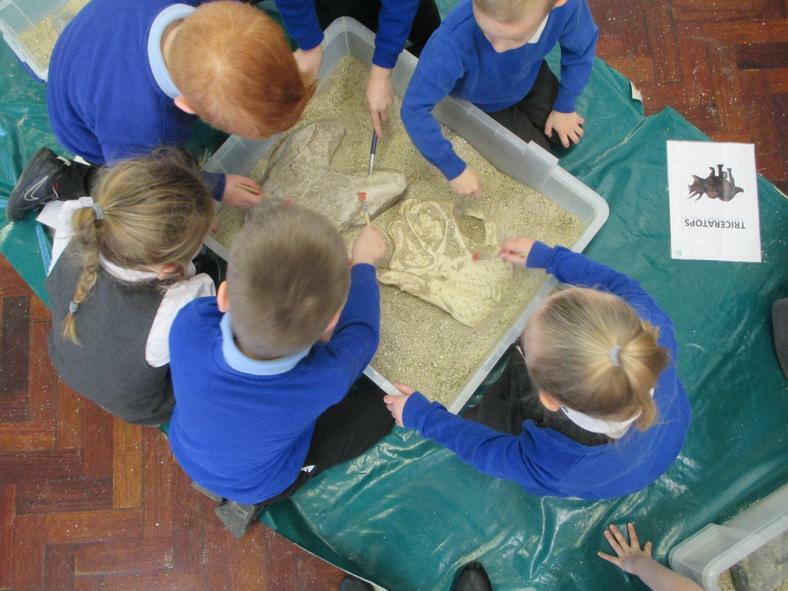 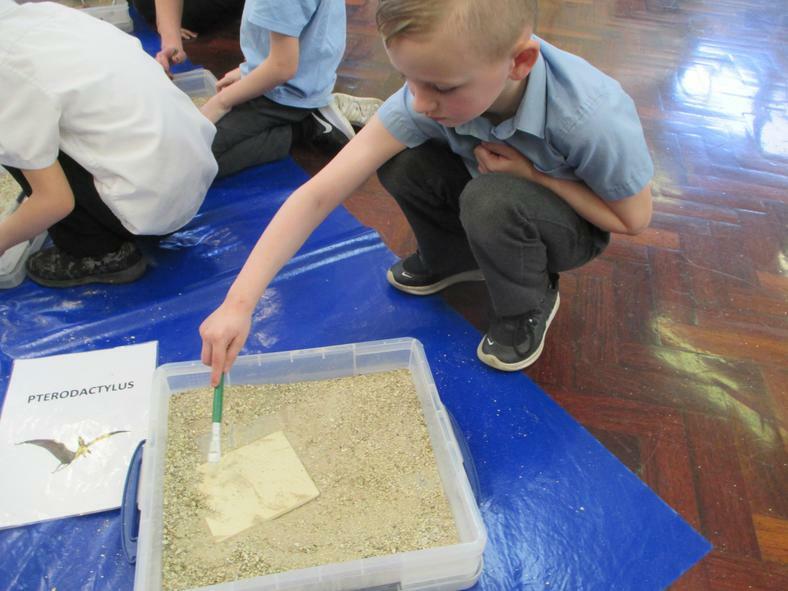 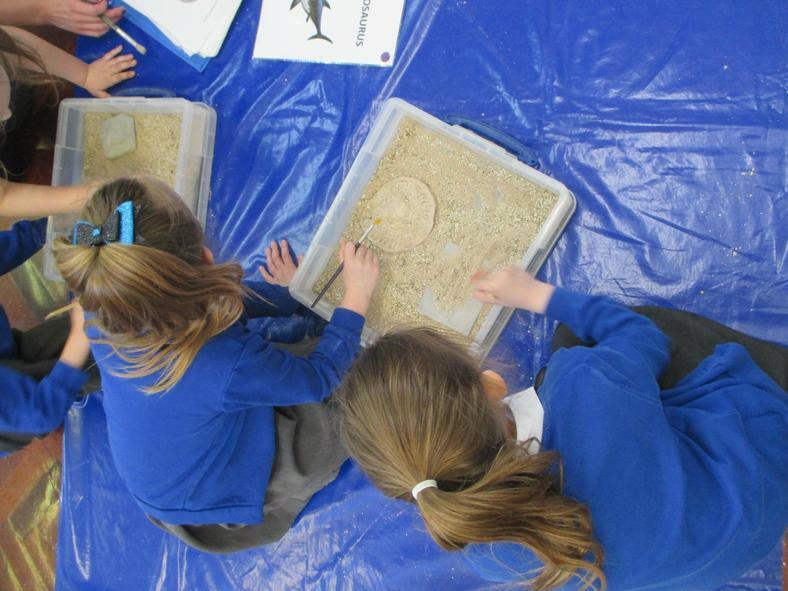 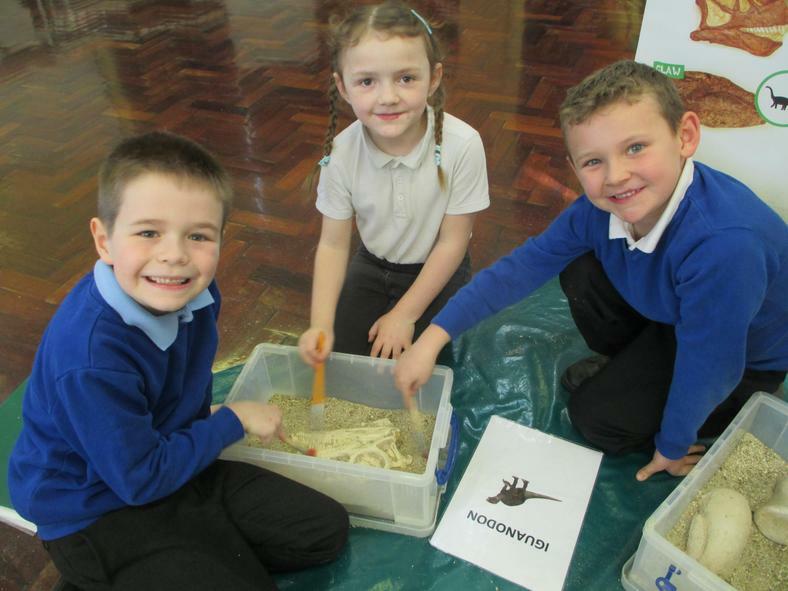 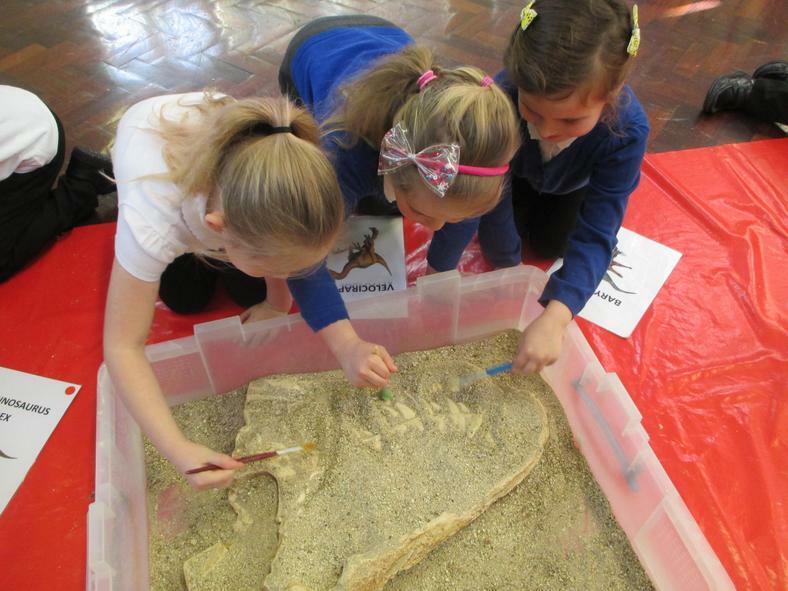 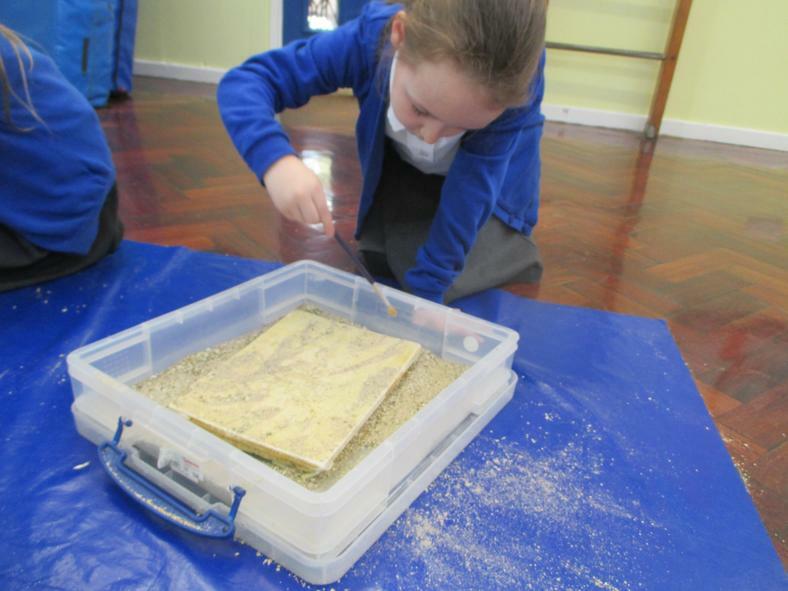 Today we met a young Palaeontologist and took part in a Life Long Ago Workshop bringing prehistoric life into school. 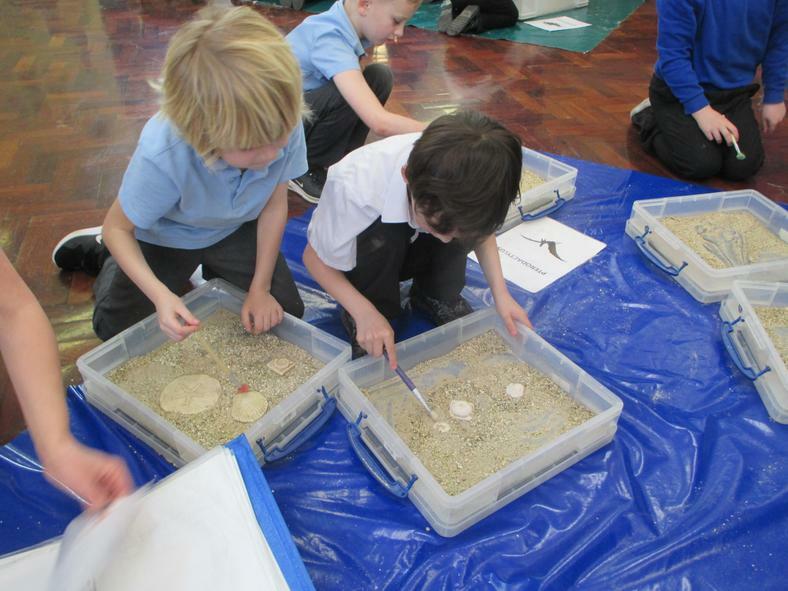 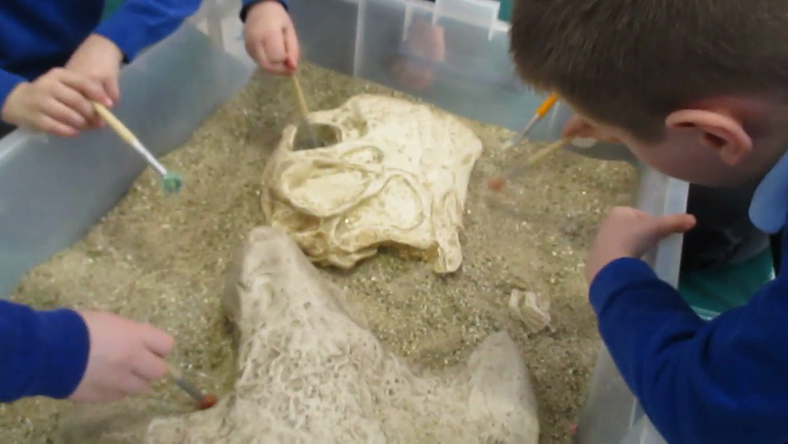 We located and identified fossils from some of the most iconic dinosaurs of the past. 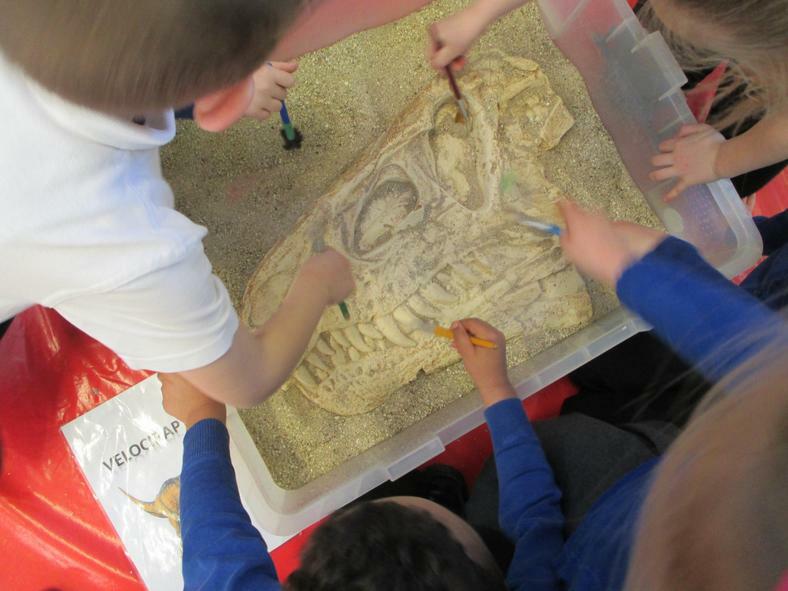 Tyrannosaurus Rex, Stegosaurus, Triceratops and a few other surprises were all thrown in. 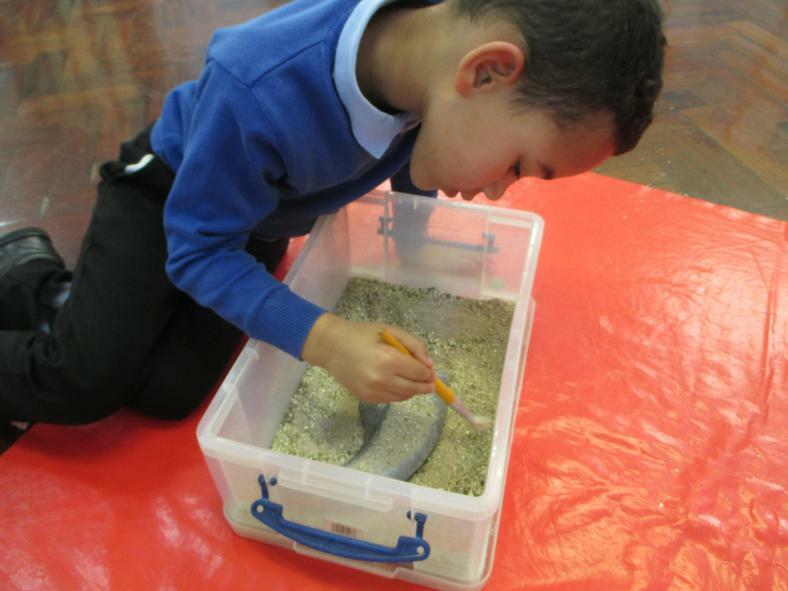 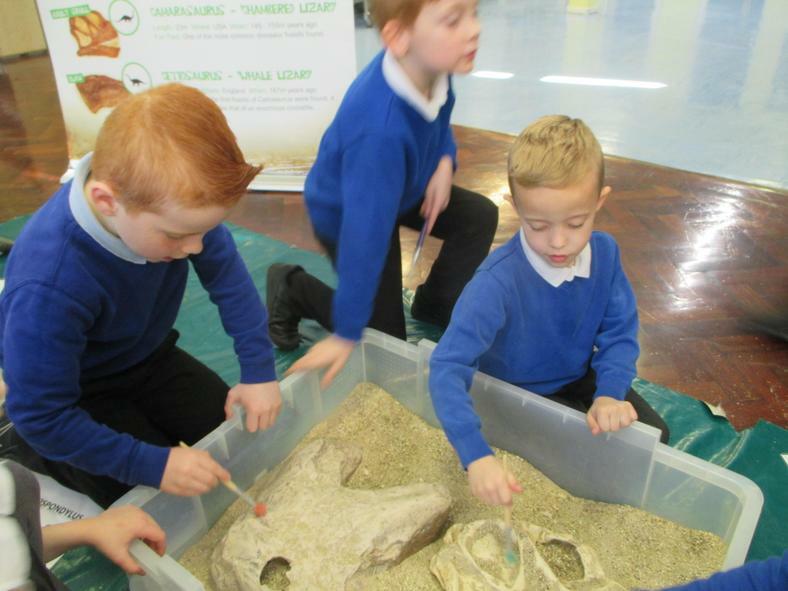 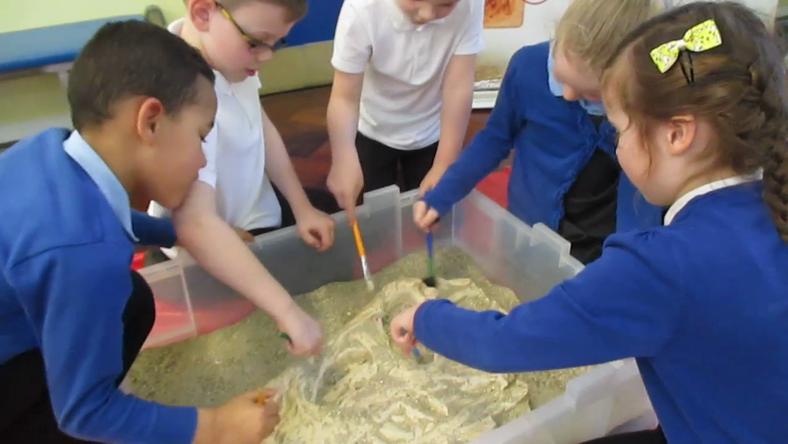 We learnt when each dinosaur lived, where they came from, what they ate and much more. 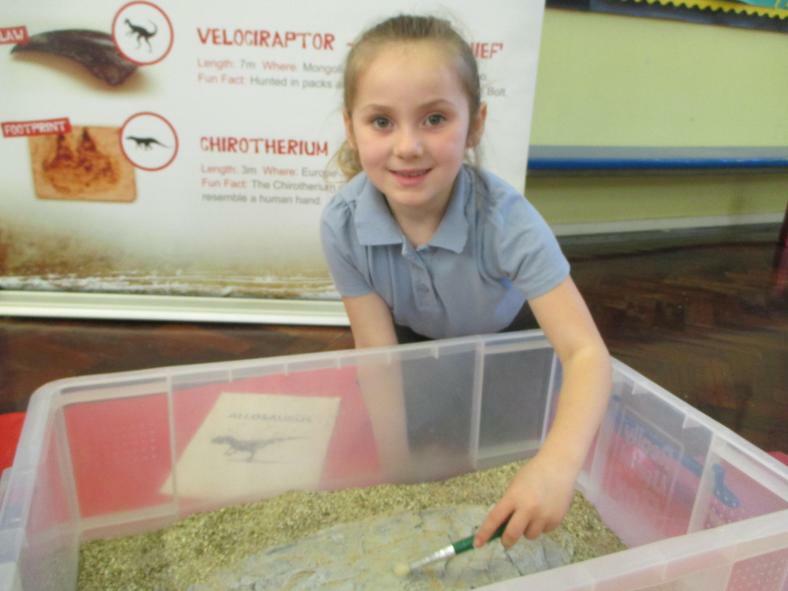 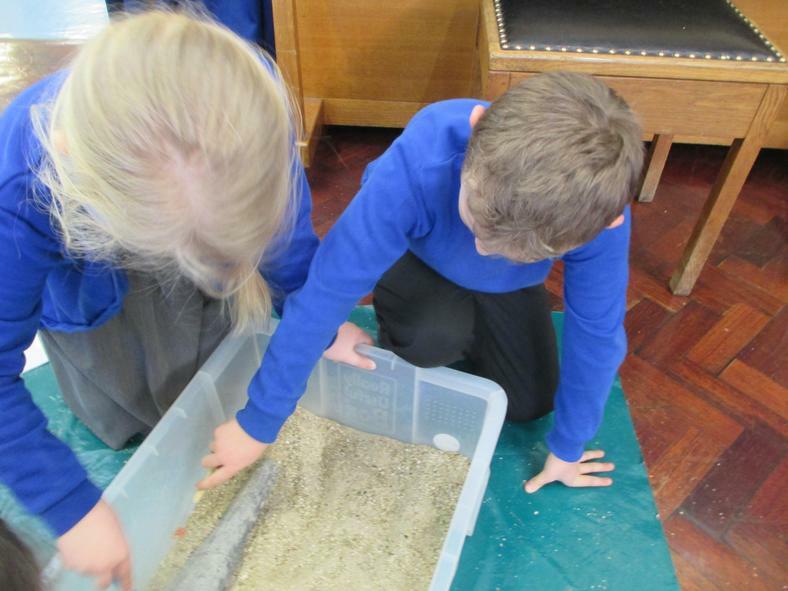 The children's learning was understanding where dinosaurs fit in a timeline. 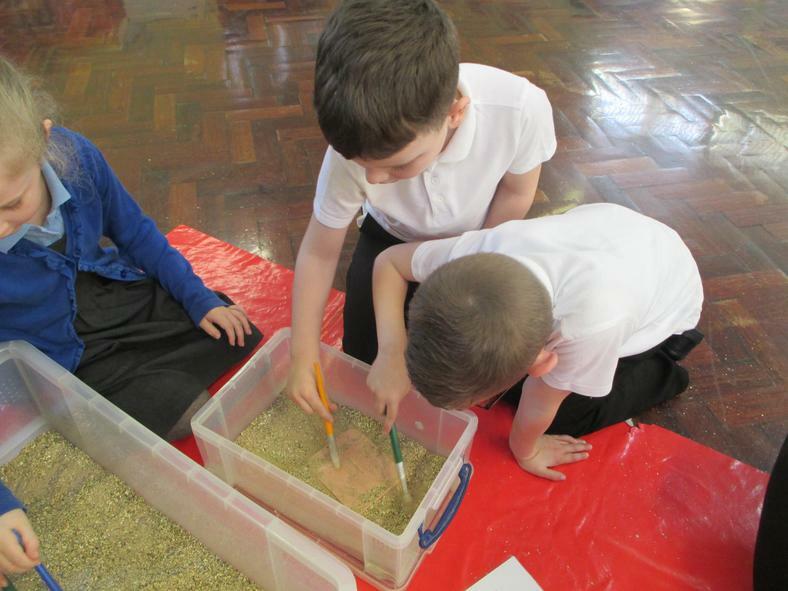 Their task was to research the different time periods and work as a group to create a collage of that timeline.